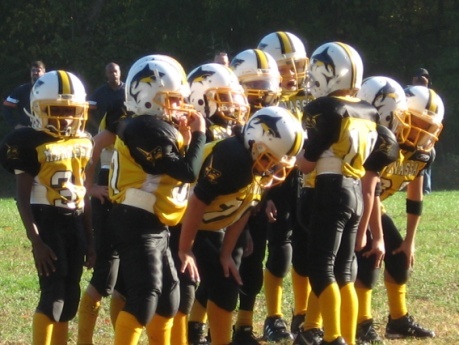 The Sharks have an "In-House" Rookie football program that will give a head start to boys and girls that are interested in tackle football but are not old enough to participate in our competitive tackle league. 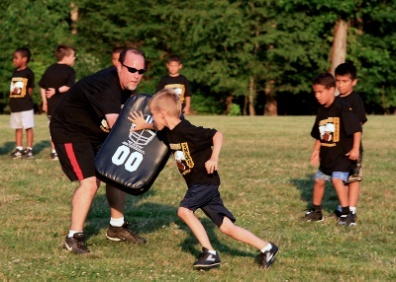 The rookie league will also allow 7 year olds that are too light for our competitive tackle league a chance to learn the fundamentals of football. This program is recommended for 6 year olds (as of October 1, 2017) and 7 year olds under 40 pounds. Our hope is to provide an opportunity for these kids to develop the proper skills in advance of participating in the Sharks’ active tackle program. 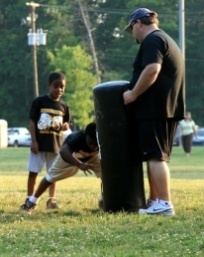 The Sharks Rookie League teaches the fundamentals of Heads Up Football® . Heads Up Football® is a comprehensive program developed by USA Football to advance player safety in the game of football., Heads Up Football is designed to change the culture around America’s favorite sport and enhance player safety at the youth and high school level. This comprehensive solution promotes coaching education, concussion recognition and response, heat preparedness and hydration, sudden cardiac arrest, proper equipment fitting and Heads Up Blocking and Tackling. As the season progresses and our young players are ready, we will introduce live scrimmages within our house team(s), and then expand to competing against other area leagues as appropriate. 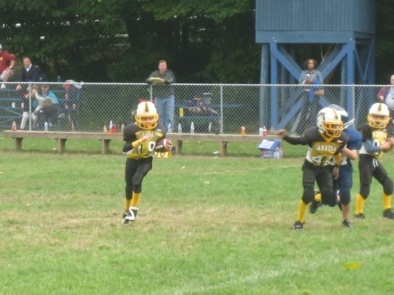 DOES MYFL NEED TACKLE FOOTBALL COACHES?